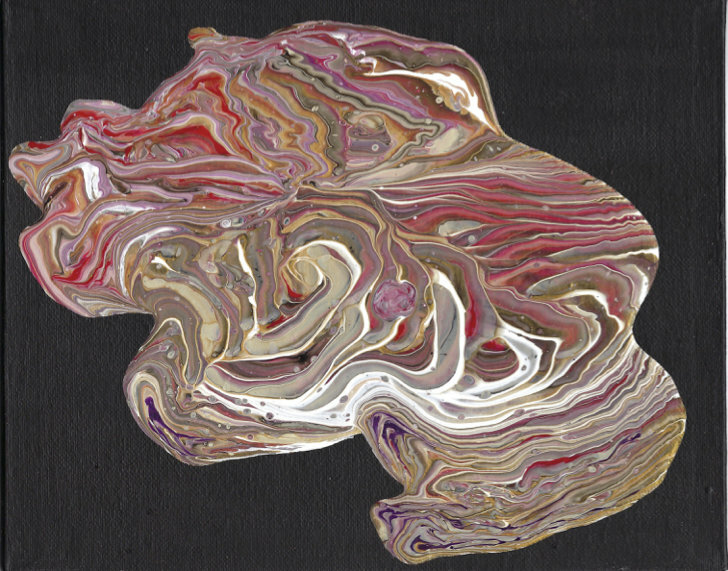 Acrylic Pour on canvas board 8" x 10", (20cm x 25 1/2cm). This painting in gold, white, red and black attuned to the energy of the Angel Tual, Angel of Security. The painting would look stunning mounted on white board and surround with a plain white frame.